26 | September | 2016 | "Oh When The Saints"
After a summer of hundreds of emails, thousands of phone calls and over a million hours worth of YouTube tutorials, OWTS Fanzine is finally here. All proceeds from Issue One will be donated to Southampton General Hospital’s Neurology ward. One of the leading neurological ward’s in the country and one that’s close to my heart and to many across the city too. Issue one will launch online on Monday the 3rd of October, with an initial 200 copies. 100 in colour and 100 in black and white, before it will be availble to purchase outside the stadium at the Burnley and Chelsea games, as well as a Limited Edition 100 copies availble outside the San Siro, when Saints go head to head with Italian giants, Inter Milan on the 20th of October. 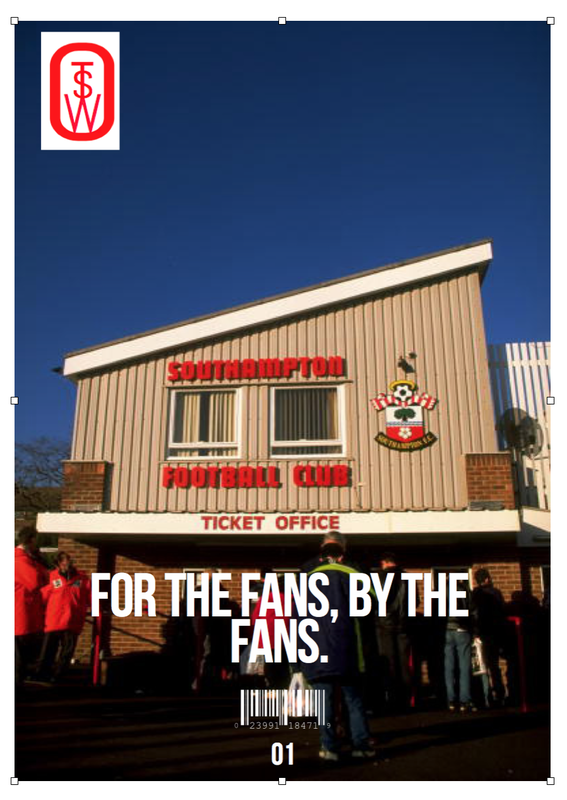 Inside the magazine, you will find the thoughts of Simon Peach, Chris Rann, Writer of Southampton blog, George Weah’s Cousin, as well as Glen de la Cour, Writer of League One Minus Ten.